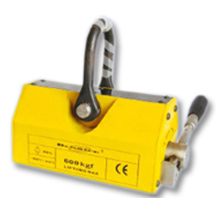 SMON0795 E Series Permanent Magnetic Lifters work with the strong magnetic force produced by NdFeB magnetic circuits and you can control the circuit switches by manual handles, which can rotate between the ON and OFF positions. 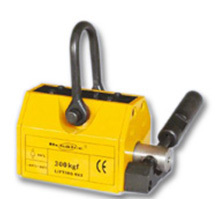 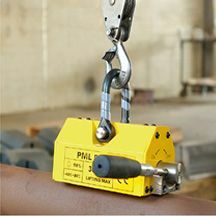 These lifters are featured with no electricity power needed, small volumes, light weights, powerful lifting forces, easy operation, high safety and constant magnetism. 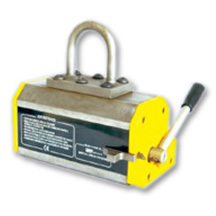 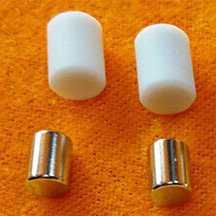 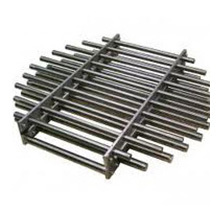 For these advantages, they are widely applied in factories, docks and warehouses to lift steel sheets, steel ingots and other magnetic objects.